There is no officially recognized breed of dog known as pit bull. A “pit bull” is not a dog breed. A pit bull is not listed orrecognized as a breed either by the American Kennel Club or the United Kennel Club, or any other dog registry in the world. Established breeds commonly lumped together as “pit bulls”. For example, the American Pit Bull Terrier and American Staffordshire Terrier. Each is recognized as unique breed by the United Kennel Club and American Kennel Club respectively. Even though the term “pit bull” is defined in the dictionary as “a dog (as an American Staffordshire terrier) of any of several breeds or a real or apparent hybrid with one or more of these breeds that was developed and is now often trained for fighting and is noted for strength and stamina” there is no standardized list of breeds which are universally accepted as pit bulls. Pure-bred dogs generally falling within what some might broadly considered as pit bulls are several. Each is a separate and distinct breed, however. 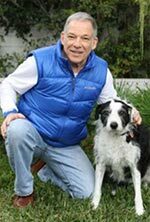 American Staffordshire Terrier, Bull Terrier, Staffordshire Bull Terrier, American Pit Bull Terrier, Miniture Bull Terrier, American Bull Dog, Dogo Argentino, Boxers, or Alpha Blue Blood Bull Dog are some examples. 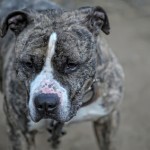 Various dog breeds have been misidentified as American Staffordshire Terriers or American Pit Bull Terriers, and when there is a mixed breed dog involved accurate identification becomes problematic. When percentages common physical attributes (i.e. body type, shape of head, height, etc.) 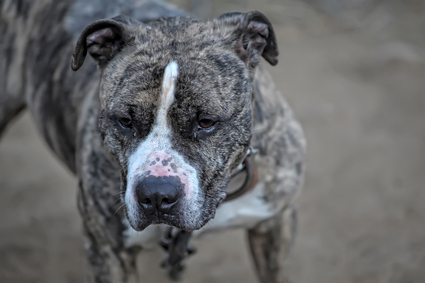 falls below 50% for a supposedly American pit bull terrier or American Staffordshire terrier, it is likely that accurate assessment of whether the dog is mixed with pit bull or not becomes problematic.